In the Node Library, select a node and drag it to the Node view. In the Node Library, select a node and press Enter/Return to add it to the Node view. Anywhere in the Node view, right-click and select Insert > the desired category > the desired node. The categories are the same as in the Node Library view. 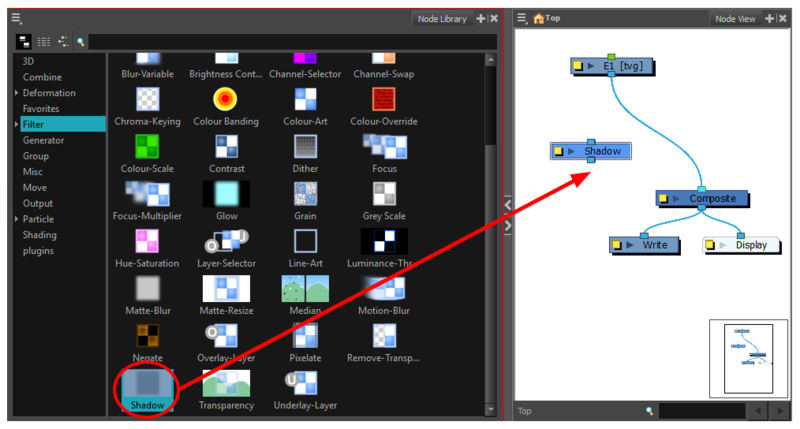 In the Node View menu, you can also select Insert > Effects > the desired category > the desired node. The new node appear at the center of the visible Node view area.